6 – I’m cheating a little bit for this one, but I’ve also been doing this for 19 days and it’s great content so why don’t you just pipe down. Thirteen years ago, on December 20th, 2005, one Kobe Bryant outscored the Dallas Mavericks team through 3 quarters by himself: 62-61. A great feat for an all-time great player, as well as one of my favorite NBA stats/memes – on this day, Kobe Bryant and Kwame Brown combined for 63 points. Not a bad prediction by Ol’ Kyle Cash, eh? The Thunder-Kings game was exactly as advertised, and I relished every second of it. 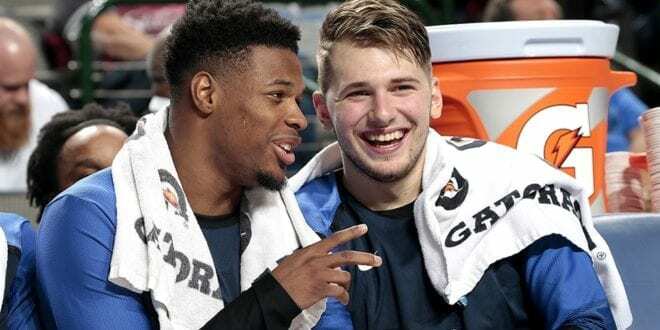 You see, Dave Joerger? No need to sit down all of your talented players – they are more than capable of losing by 20 on their own accord. Elsewhere in a busy NBA, The Greek Freak bested The Brow, Houston buried the Wizards under an NBA record 26 3-pointers, and Boston dropped a home game to the woeful Suns. Apparently, Marcus Morris is the MVP of the “feared” Boston Celtics – who knew? With a little baby 2-game slate in store for us on this fine Thursday evening, let’s head down to South Beach with the Rockets as they take on the struggling Heat. With Goran Dragic officially on the shelf, the Rockets come into tonight as a 3.5-point favorite over Miami with the total set to a startlingly low 209 points. Time to take my talents to South Beach. Is this the real life? Is this just fantasy? Houston may have finally snapped back to reality (oh, there goes gravity) and righted their sinking ship as they absolutely dismantled the dreadful Wizards. They’ve won five games in a row versus teams that were pre-season picks for playoff spots, and this may be their weakest opponent of their current winning streak. Harden has been standing on his head for the past two weeks, and if Houston’s supporting cast can continue to can 3s at an all-time clip, we might be able to reignite the Rockets’ engines for good. For the sake of the rest of the Western Conference, let’s hope they blow up on the launch pad. After taking down the Blazers, Lakers, Grizzlies and Jazz, a date with Josh Richardson’s Miami Heat is not going to leave Harden and Co. shaking in their boots. However, Miami is beginning to gain some roster continuity as they shake off the injury bug, and they’ve allowed 100 or less points in 5 of their last 8 games. Miami isn’t an elite defensive unit, but they are well-coached and can throw different bodies at Harden and Paul. 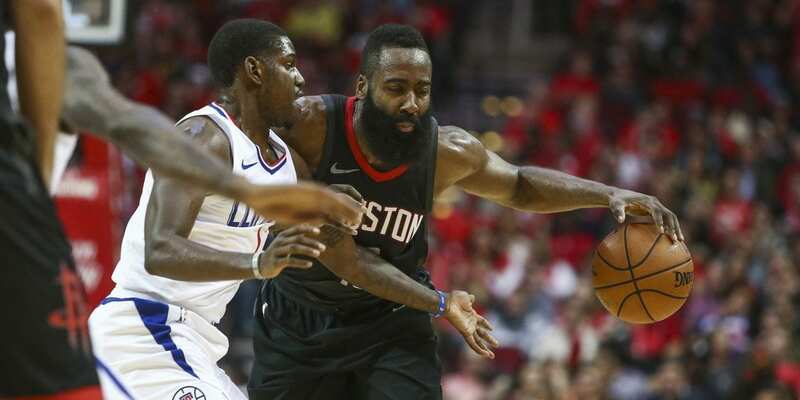 Houston’s back-court reached “match-up proof” status long ago, and they’ll need another Herculean Harden performance to escape Miami with a W. When you’re making shots, you look good; when you’re missing, you look not so good. Houston’s role players made a lot of shots last night – have they run out of their supply for the week? Miami Heat fans were expecting to have a starting five this season of Goran Dragic, Dion Waiters, Josh Richardson, James Johnson and Hassan Whiteside. Two of those guys are out for the foreseeable future, one of them might need to switch careers back to kickboxing, and another only decides to show up when Joel Embiid calls him out on instagram. Miami is in desperate need of a blood transfusion of any kind, but they lack the players and the mentality to be able to make any real moves. This team is like the Poor Man’s version of the Los Angeles Clippers, but instead of creating a roster full of good players, they’ve decided to employ a bunch of slightly below-average ones. Without a traditional superstar in town, the Heat seem destined for a lifetime sentence in the NBA purgatory: a first-round exit and a mid-first round draft pick that ends up being an athletic wing from the Pac-12 with a broken jump-shot. Lather, rinse, repeat. Despite their obvious deficiencies, there’s a slight glimmer of hope on the horizon for Miami. With the Clippers’ blueprint in hand, the Heat are starting to embrace their egalitarian style of play. There are exactly 0 playoff teams in the NBA that Josh Richardson could be the best player on, but as the piston in a cog of effective players, he has the ability to be extremely effective. To take down the Rockets, the Heat have one option: bore them to death. With the 24th-ranked offense, nobody runs the Clogged Toilet offense like Miami, and their slow pace will do well to limit Houston’s ability to run them off of the floor. If there was ever a game to take seriously for Hassan Whiteside, it would have to be a national TV game versus James Harden and Clint Capela. Whiteside is the new unofficial master of the “I’m going to try harder because more people are watching me” style of basketball, and his defense and rebounding combined with a resurgent Justise Winslow and soaring Richardson may be just enough to keep this one interesting. I’m committed to you, the reader and gambler, so I want you to know that I tried. I tried really hard. Unfortunately, I was unsuccessful in my attempts to find out if the Rockets traveled to Miami after their game tonight. The closest thing I found was an insta story from Danuel House of his view of a skyscraper in a city, but it was unclear whether it was Houston or South Beach. I’ll let your imagination dictate why that information might be important, but let’s just say that James Harden (allegedly) goes as hard off of the court as he does on it, and a night in Miami may not exactly give him the proper, er, rest for an NBA game the following night. Just take a peak at TMZ before making your pick, would ya? Regardless of whether or not Harden is going to need an Advil, a cold shower and a nap, the Rockets are going to be tired either way. Betting sites have Houston as -3.5. Moreover, they just made 26 3s in one game, and the nature of regression hits hard. It’s a classic let-down spot versus a team that has had four days rest and plays well at home. At the very least, Miami should be able to disrupt the flow of these game and keep it competitive, and that’s reason enough to take the points. And don’t forget: TMZ. Your bet depends on it.